It’s been a busy week. After missing my Tuesday morning run, and sleeping through my Wednesday makeup run, I slept in Thursday morning as well. So when I came home from work last night, I was making no excuses. I had to run! As soon as I walked in the door, the couch was sitting there looking at me, enticing me to join for just a little while. 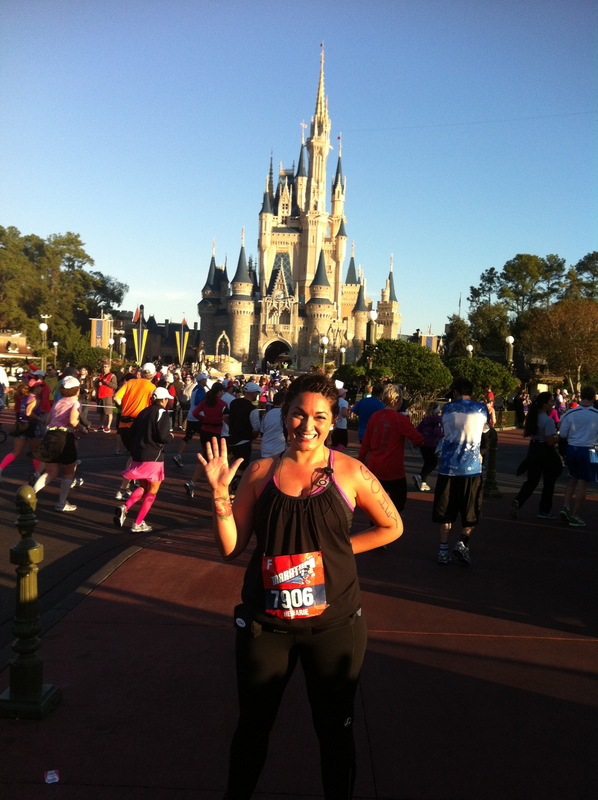 I ignored the taunts and went to throw on some running clothes. Which brings me to the topic of my new favorite running top. I’ve been eyeing this scoop neck tank from Lululemon. I even tried it on and admired it’s perfect fit, but at $52.00 I couldn’t justify it as I was already buying a running skirt from them that was similarly priced. So I had a very grow- up, disciplined moment and put the top back. A few weeks ago, my friend told me that Old Navy was having a sale on their active wear. I really didn’t have many expectations when I went, but Old Navy is almost across the street from me so it was at least worth a quick look. Imagine my surprise when I saw this look-alike compression tank top on sale for only $12.50. 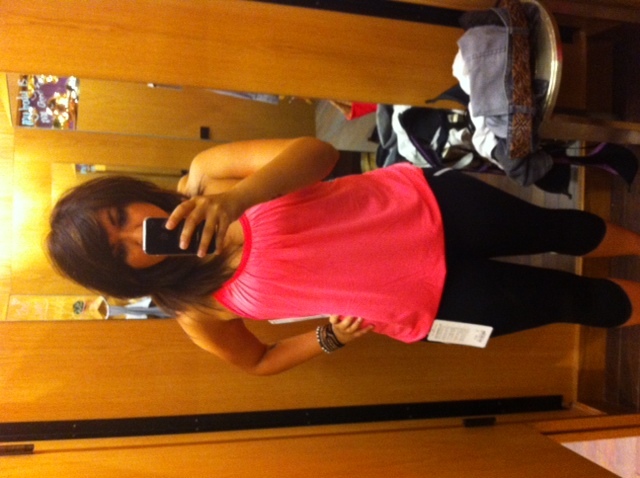 Again, I grabbed it to try on, but was sure it would have a weird fit or have a short torso or something. But when I tried it on, it fit well. So after my run, my prognosis is: I love it! The tank had a long torso, so even though it did ride up a little bit, it never rode up above my waistline. I even ran into a friend at the lake and she complimented it. Which brings me back to my run. 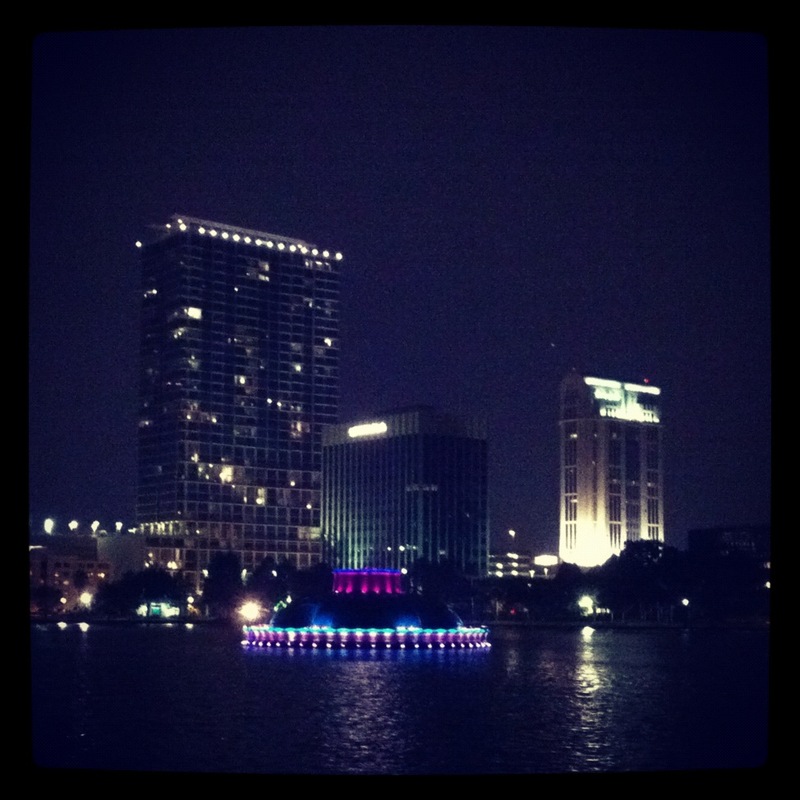 It’s been a while since I’ve run laps around Lake Eola so I headed over there in my car. I can run there, but I wanted to run with music and didn’t want to worry about cars. On my drive there I wondered why I didn’t just wake up in the morning… I wanted nothing more than to sit on my couch and veg out after my long day at work. In the end, I only ran 2.35 miles (three laps around Lake Eola). My calves were so tight! All week I’ve been rolling my thighs and hips to avoid IT pain and totally neglected my calves. So I finally gave up and went home to stretch and roll my calves for a good hour. The Lake Eola fountain was broke for what seemed to be forever, and running around the lake just wasn’t the same without it. I’m glad it’s back, and much more colorful! Which do you prefer? Wake up early to work out or workout after work?